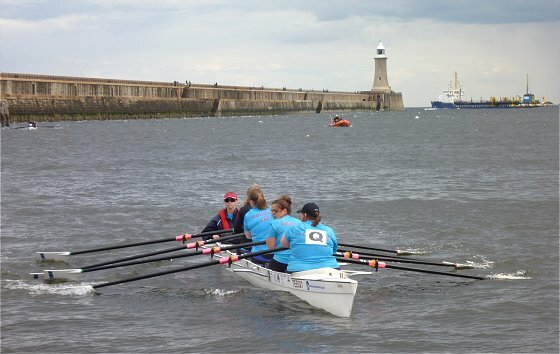 The fifth round of the 2018 Northern Region Explore Series is at Tynemouth on 24 June (a week early because of tides). It is a Sculling Splash and Dash competition. Picture is from last year. There have been 9 entries for this event, 5 open and 4 women's. Berwick, Durham, Gateshead, Tees and Tynemouth have entered open teams, and Durham, Tyne ARC, Tyne United and Tynemouth have entered women's teams. The draw matrix is below (click for larger jpg or here for pdf) and letters will be drawn on the day.